The European Central Bank chief took a potshot at the United States for flouting an international agreement not to manipulate currencies. 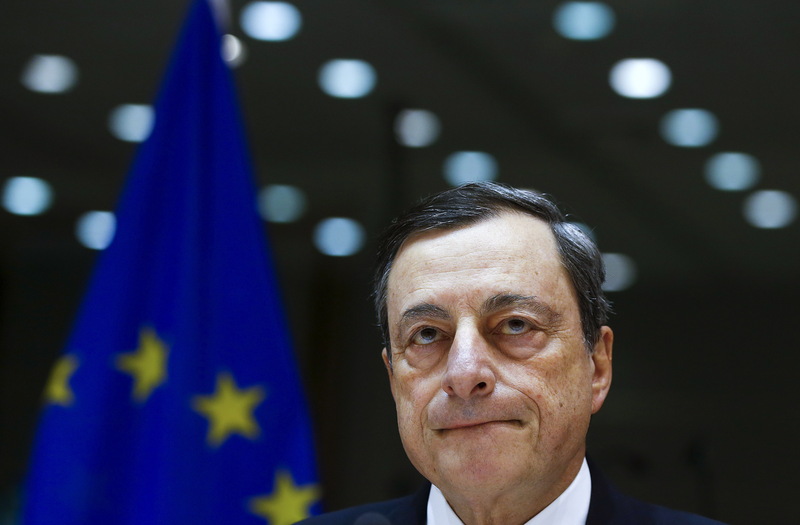 The rate-setter has limited policy room to resist a strong euro. European politicians who take up the cudgels risk escalating the fight. European Central Bank President Mario Draghi said on Jan. 25 that the euro’s recent rise was partly the result of comments by a senior U.S. official that violated an international commitment not to manipulate currencies. He also said the ECB might have to review its strategy if currency moves were to lead to an unwanted tightening of monetary conditions. The euro hit three-year highs above $1.25 on Jan. 25, extending gains that had been triggered after U.S. Treasury Secretary Steve Mnuchin said on Jan. 24 that a weaker dollar was good for his country. “If all this were to lead to an unwanted tightening of our monetary policy ... then we will have to just think about our monetary policy strategy," Draghi told a news conference, noting that several ECB Governing Council members had expressed their concerns.